This week saw the launch of TORQ Running at the Running Show at Sandown Park, Esher. 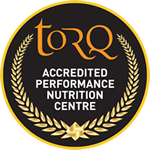 More significantly, it also saw the launch of TORQ Running’s new facebook page which will be dedicated to running enthusiasts with a passion for TORQ. 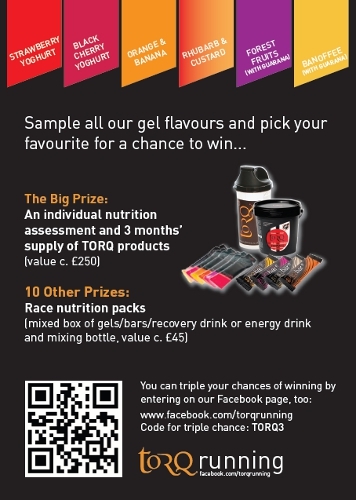 We have launched the FB page with a competition encouraging the public to register an interest in their favourite TORQ gel flavour by going online and selecting a favourite from Strawberry Yoghurt, Black Cherry Yoghurt, Orange & Banana, Rhubarb and Custard, Forest Fruits and Banoffee. All entrants to the competition, irrespective of their flavour choice will then get their names popped into the ‘virtual hat’ and drawn out at random.  The winner gets a free nutritional consultation with Anth, our head fitness consultant at TORQ and will then be supplied with 3 months worth of TORQ products free of charge (worth at least £250). 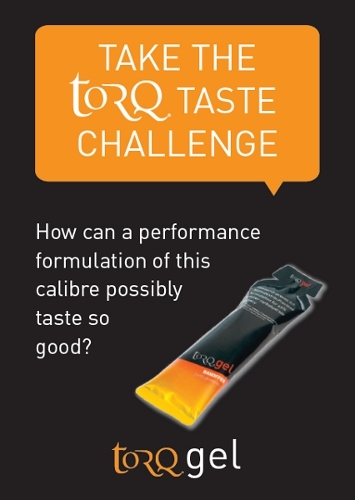 There are then 10 further sample packs of TORQ products worth £40 up for grabs.